I have never written a review but I enjoyed this game so much that I just had to write this. This is a perfect HOG because, for once, the jumble surrounding the hidden objects actually fits into the story line. The game is interesting and memorable because it is based on an intriguing concept. This was the first HOG I?ve played that actually made sense on every level. It was short, but it was well made, with clean and pleasant graphics, an interesting plot, and unique, and relaxingly intuitive, if simple, puzzles. The cons: it was a bit short and there is no real exploring or adventure to be had. 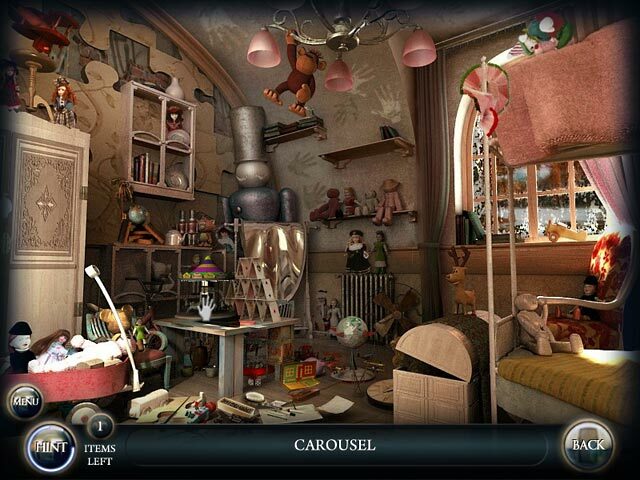 The game is mostly just fun hidden object scenes with an absorbing back story. The novel set up and plot made this the single best HOG I have ever purchased from Big Fish. I hope to see more (longer) games like this. Five stars! I don't usually review the copious amount of mostly "Hidden Object" games I've played. The only other review I've made was to comment on the shortness of another game. But, this game, by other player's review as "short" (if indeed short), then well, it is a shorter game you might love to linger on. I have a particular sensibility (art education that is) and this game has all the variables I love in a story-telling search and find, solve-the-puzzles game. Nothing pushes you to continue and nothing rewards you. It's quiet and lovely. The graphics are beautiful, the sounds accent a strange place in your head, and not all the images are easy to find. The story line keeps you inside your own psyche. And so far the hats all look like candy bon-bons--LoL. I love it. Great story, way too short! I finished this game in the one hour demo! If you're thinking of buying this game be careful. It's not going to give you hours of gameplay. I loved the story and how it was played out. 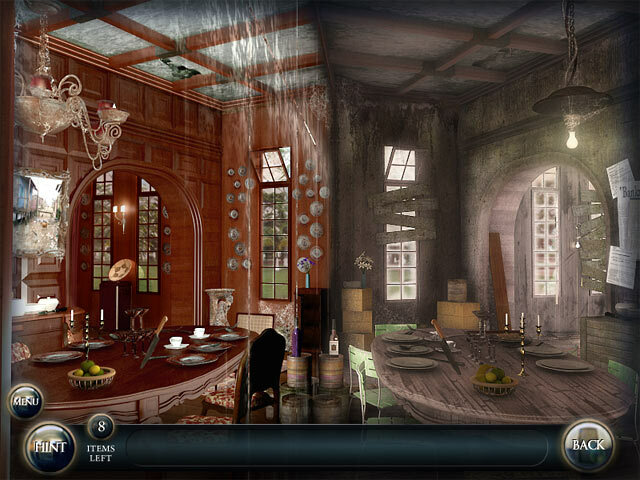 The hidden object scenes were a little too easy and made the game move along very quickly. NIce switch from the endless, often silly occult-themed HOS games here to a psychological theme. Also liked the convention of having to go through various doors to solve puzzles and collect clues. But that also quickly became very same-y, as the entire game was structured in that manner. Pretty lousy graphics, too -- often just photos of objects distorted and then pasted everywhere, which sometimes made them very difficult to find without adding much pleasure to it. Another major disappointment is that the gameplay allowed for hardly any movement through scenes, but stayed very, very flat as you were simply presented with HOS or static psychologist office scenes. The only really fun part was in the several times you were required to use objects in order to solve something further. Finally, the notion that I as the main character was supposed to be "losing my mind" was so poorly executed it became laughable (not scary or disturbing as intended). I'm supposedly terribly shaken as layers of repressed memory unfold, but I go back THE VERY NEXT DAY to encounter more and all my "doctor" does is pretend to be concerned. Nor did the gameplay itself either intensify or get much stranger as things progressed. Just a cheesy game all around, I'm afraid. I was always fascinated about the tale of the headless horseman. Now we can get into the game with this fun HOS puzzle. The graphics are AWESOME! The storyline memorable and the puzzles are challenging. Plan to be intrigued for hours of gameplay. Like others have already said, this is a very short game but I liked it very much. 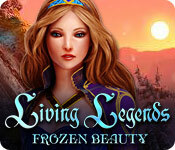 It's a straight hidden object game but with some variation from the norm which I found to be different and fun. Sometimes you're given pictures to put back into the scene, other times you're shown pictures of what to find in the scenes but they may be completely different in their appearance or orientation. That was a real challenge and I found it refreshing. The nightmarish scenes are hauntingly beautiful and appropriate for the storyline, which was interesting and concluded satisfactorily. The only thing "wrong" with the game is its short length. It can be played in one sitting. Advanced players who need the challenge of a long story with hours of gameplay best avoid this one altogether because you won't get it. Although the hint and skip buttons fill quickly, the puzzles are all doable without having to skip. 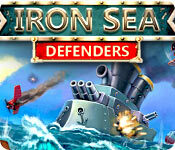 This game is definitely geared towards those who crave a short easy game played during a lazy afternoon. Sometimes I like these myself as a breather between the harder games that are more taxing. Since I knew this to be a short game, I purchased it on a less than half off sale. It's a good game to use a free game coupon on if you have one that's expiring soon and don't know what else to get. I actually liked this game, and the whole storyline. I would recommend it based on the HOs and the eerie music. Ha! I love spooky stories, and this one did it for me because of the scenes when she visits the mansion. I picked this title up mainly because it made me think of The Outer Limits, or The Twilight Zone. While the story is not science fiction like those series, the manner of story telling is. I liked this game. I think the biggest flaw in the game is that it was too short. I believe we completed this title under 3 hours. If the gameplay was extended another 2 hours, that would be an improvement. With that being said, the gameplay did balance out well with the story telling and advancing the story. 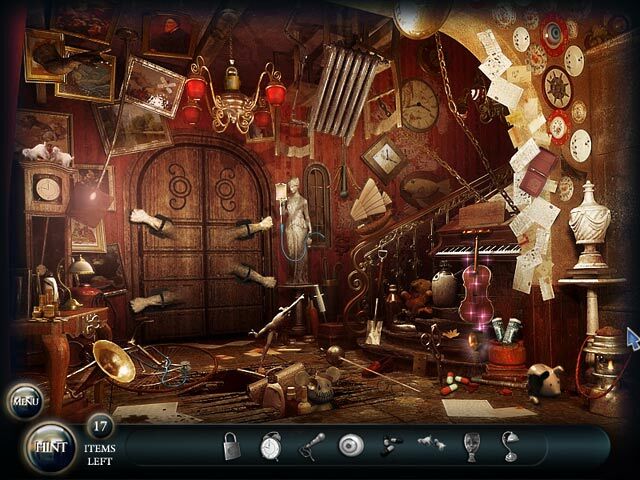 The hidden object scenes were fun and the puzzles were OK. I am a sucker for effects, and I loved the effect the programmers used when the character was entering a door. I would recommend this title, the buyer just needs to know what to expect of this purchase though. While short, I thought the story was solid, and was still a fun time. Game seemed really good - I loved playing it, but I was finished in 1 hour? What a letdown..... I wish Big Fish would give a ball park of how long a game is - maybe beginner would be 3 hours, intermediate 2 hours and expert 1 hour. Didn't feel like I got my $6.99 worth. Sorry - wanted to give a good review but not worth the money. GAMEPLAY: Most of the game is made up of HOS: Scenes are somewhat but not overly crowded. Click on a word and you?ll see a silhouette briefly. Items are not always proportionate (ex: a comb could be half the length of a door). Besides the HOS, there are ?put everything in its place? puzzles. If you can?t figure out where something goes, move the cursor around until it changes to a hand. Something will go there. STORYLINE: Hazel undergoes hypnotherapy to discover why she has been having terrible nightmares since her father died (her mother passed away under mysterious circumstances when Hazel was 5). She has little memory of her mother. She goes back to the family mansion and finds that her mother was shot and she and her father moved out suddenly. She discovers that her father was in tremendous debt and selling off many assets. Why not sell the mansion instead of letting it decay into ruin? THE REST: Music unobtrusive. Good animation and sound effects. Abrupt but satisfactory ending. Rather short game, so you might want to wait for a sale or coupon ? I would not pay full price even though I liked it a lot. The premise to the storyline was such that a much longer game could have been developed using the mind and its workings by adding twists and turns to the story. That and the length would be the shortcomings. I have a 27? monitor and was able to play on the entire screen and still get crisp delineation of objects.